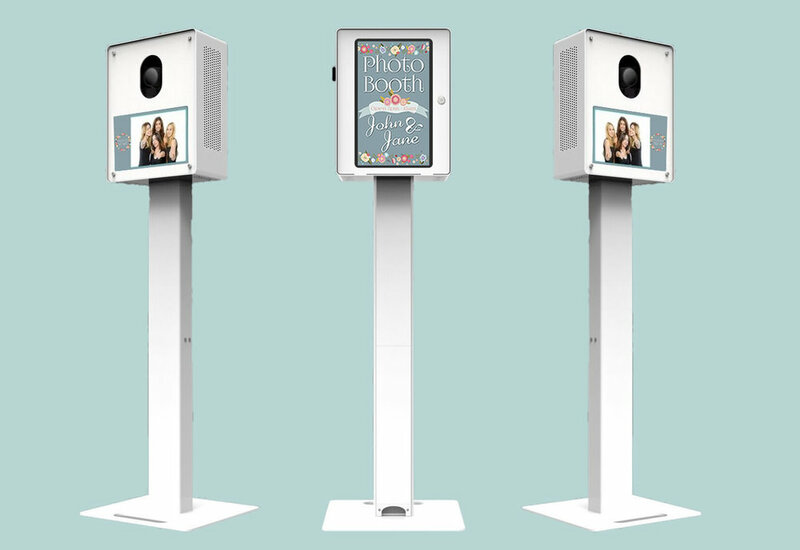 Awhile back, I published an official blog announcement from our team featuring our new modern style social photo booths. Since then, our social booths have been capturing our clients most memorable moments, from weddings and corporate events to private celebrations and school dances. As we continue booking events with these new booths, we've realized a few important facts and features: 1) the modern design really does live up to the hype, 2) there are so many customizable options for clients, and 3) the size of our social booth makes it incredibly versatile and easy to move in and out of all types of spaces. Sometimes something that seems too good to be true actually does turn out to be, well.. true. For this blog post, we wanted to not only tell you more about our new social style photo booths, but we also wanted to show you more about the specs and photos from recent events. Without further introduction, lets jump right in + get reacquainted..! Social media drives literally everything these days. Tell me how many people you know that do not own an iPhone or at the very least a smart phone? To quote Katt Williams, "don't worry, I'll wait." 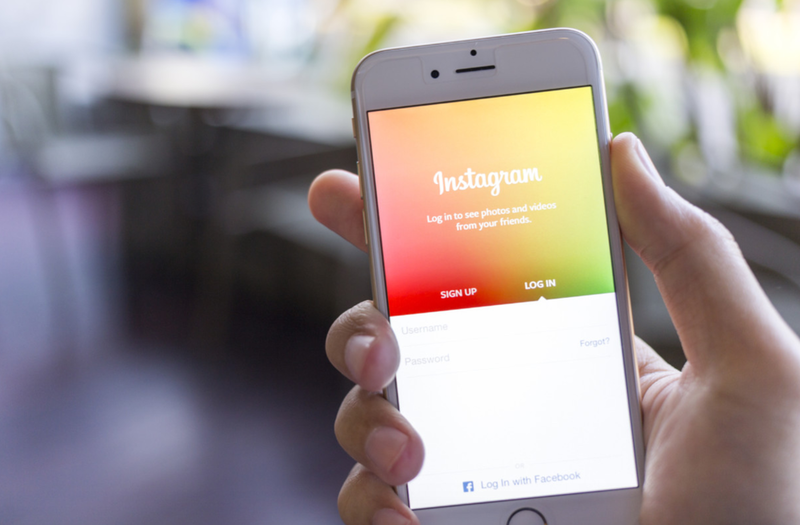 In reality, our phones have become the easiest way to share the things that matter to us. To apply this truth to our Photo Booth business, Snyder Entertainment has launched a line of brand new, modern Social Booths. These booths are sleek and thin with clean lines, but carry very powerful social integration software. Although we love getting the prints from our vintage Open Air Booths we love the idea of being able to easily text or email the new photos straight to our phone for sharing. And these booths do so much more! We can do everything from GIF's, Boomerangs, Green Screen, Custom Backgrounds, Virtual Props, and the list goes on. All these interactive, social elements can be sent right to your phone or shared on social media in a matter of seconds, immediately from our download page. We can even provide custom text messages and virtual attract screens to personalize your event. I know, right?! Welcome to the future of an all encompassing event entertainment industry in #Nashville! Since our photo booth kiosk is an open design concept, it is purely up to you on how many people can fit in the photo booth. It can range from small groups to large groups, depending on your photo booth background size and how far the photo booth kiosk is from the photo booth backdrop. 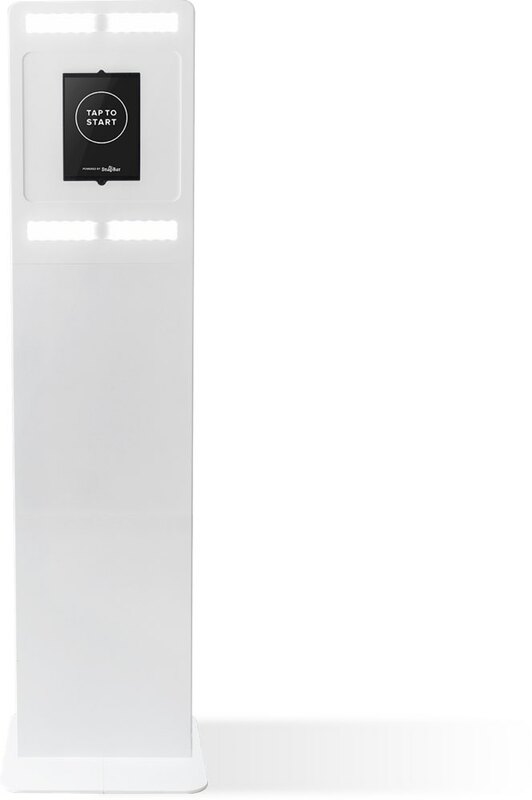 An open concept photo booth kiosk is designed for multiple options, depending on your taste and event needs. For sizing + space, we recommend a 10x10ft area, but it can be placed in a much smaller area due to the booths small size and modern design. We have stationed it in a 5x5ft area with a backdrop, and in a 3x3ft area without a backdrop. No huge curtained structures. No clunky monitors. Just a sleek streamlined experience. The 12" touch screen gets you started and the professional printer will have a 2x6" photo strip in your hand in less than 10 seconds. Another great feature is the size of the booth. Virtually able to fit in every type of venue space and private residence, the small size makes it easy to transport and setup. 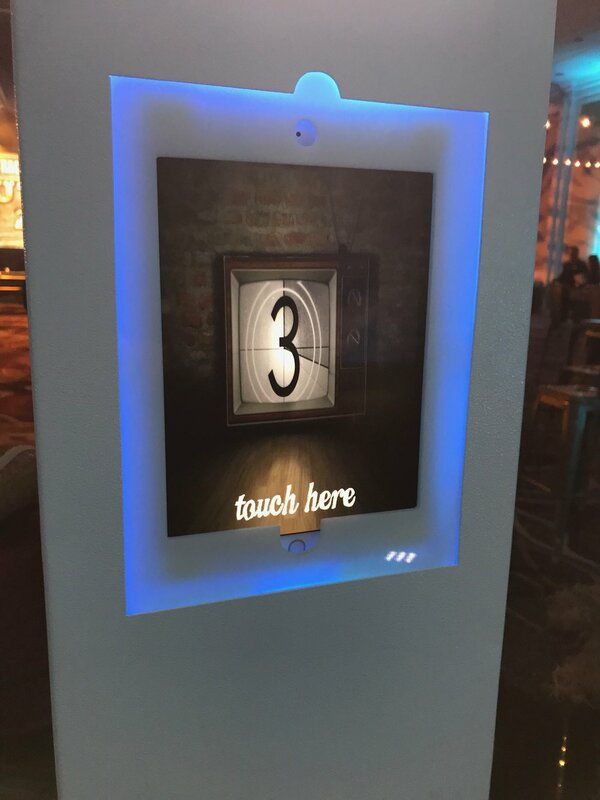 It may look simple but our social booth is packed with modern technology and endless connectivity. With built-in options to share your photos, gifs, and videos via email and several social media outlets, you can easily share the fun with everyone you know, instantly. 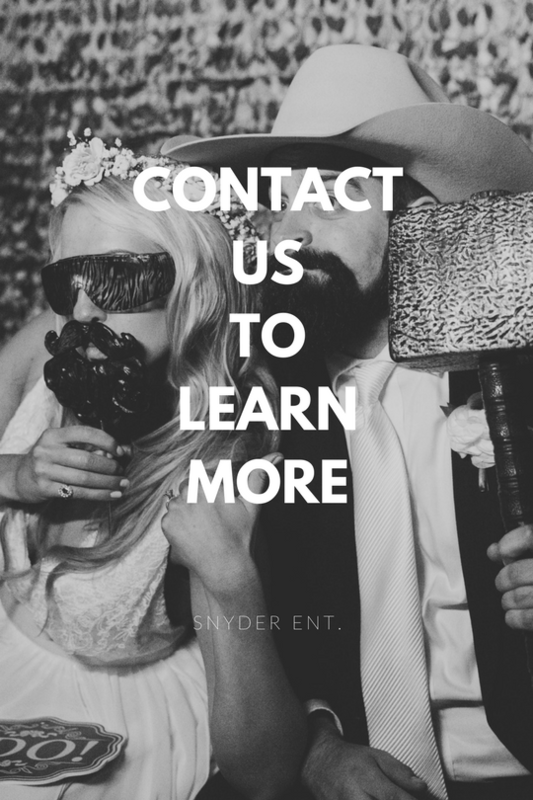 Snyder's social booths are designed to stay in one-spot for long periods of time for various event types including weddings, corporate gatherings, and private celebrations. Our Social booths each have an iPad installed inside of the booths, so we're capturing your guests contact information to send them the link to the photo gallery, follow up with them after the event, and much more.